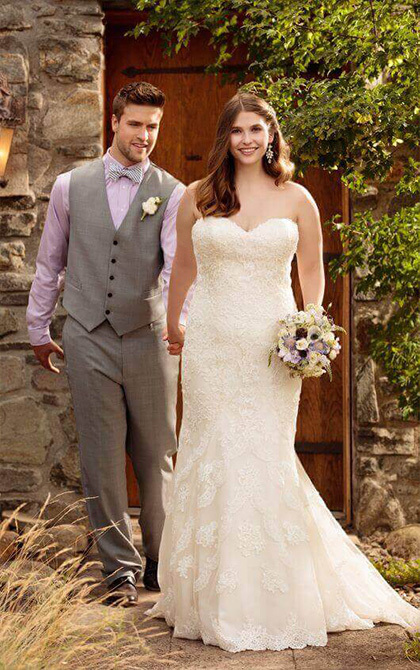 Show off and embrace your curves! 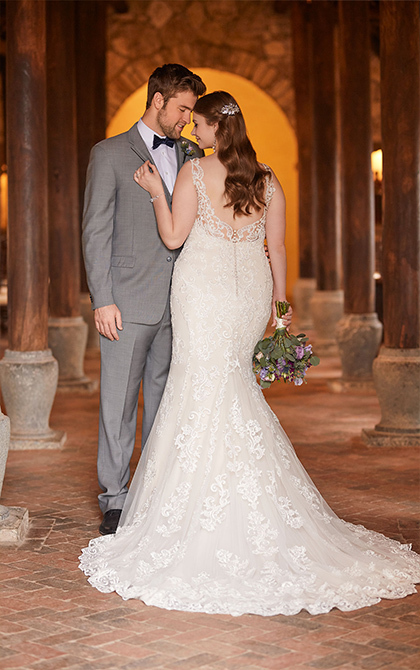 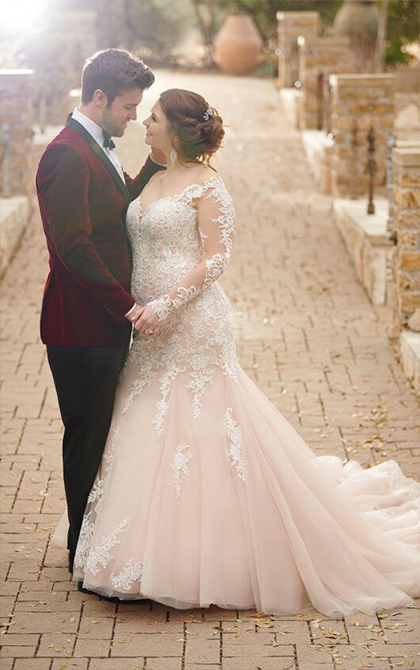 What is the EveryBody/EveryBride collection? 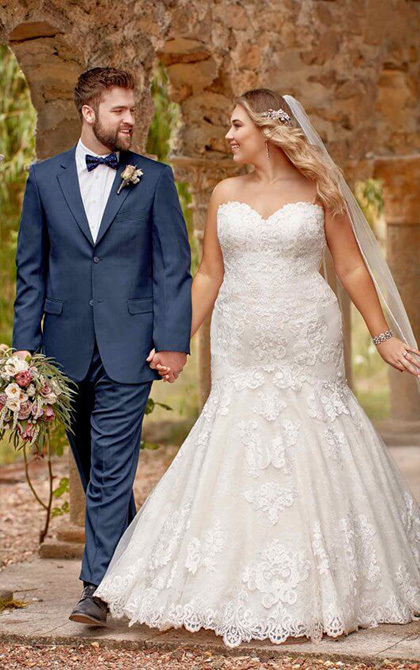 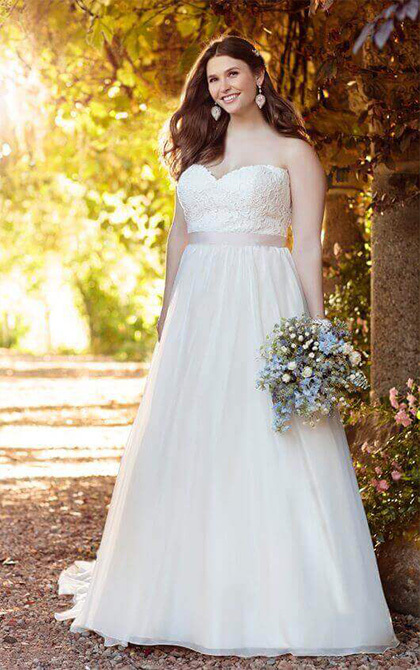 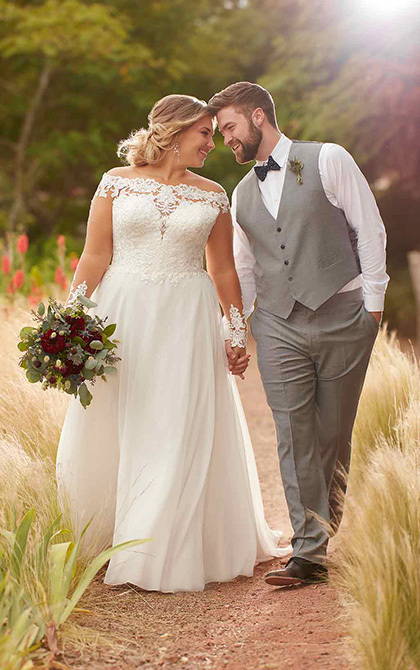 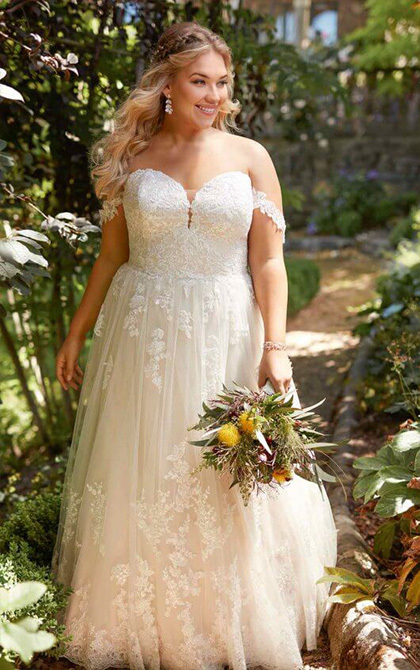 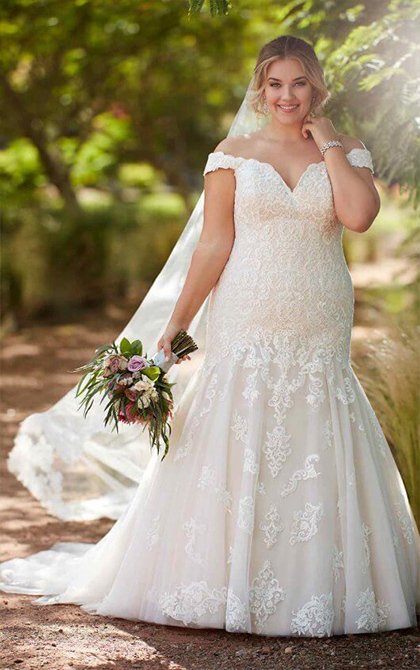 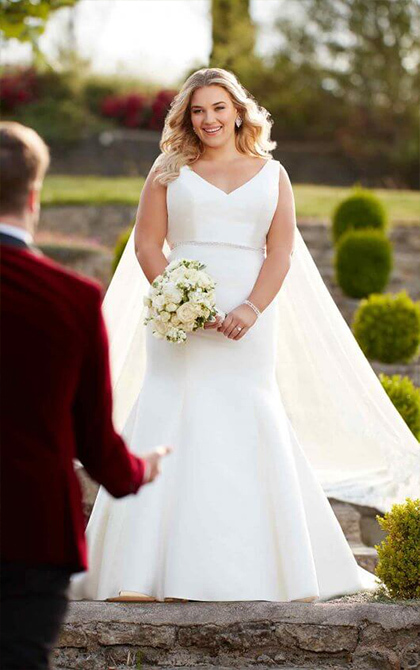 These are wedding dresses which are available in smaller sizes, but have been adapted to flatter ladies up to a size 34. 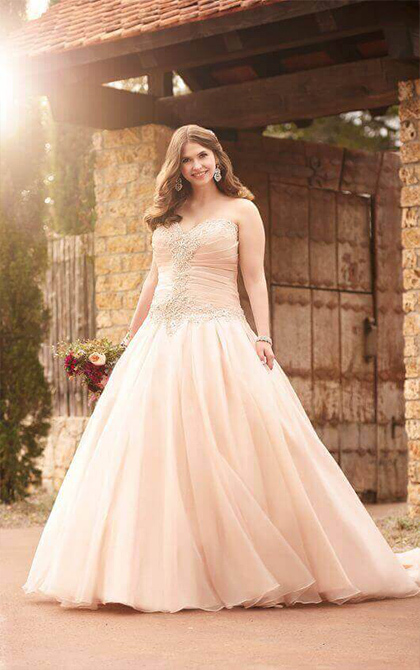 They show off your the gorgeous curves and flatter your figure, without compromising on style! 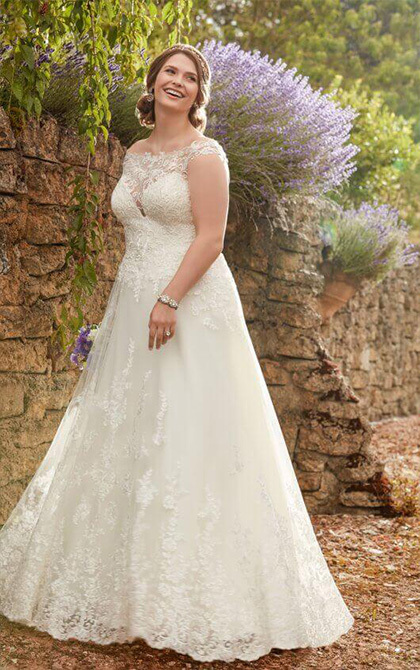 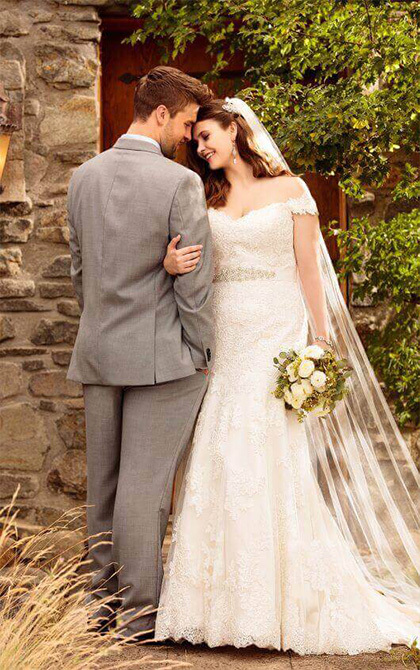 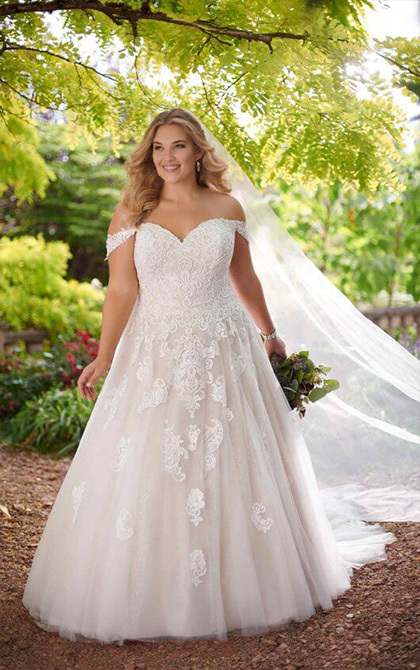 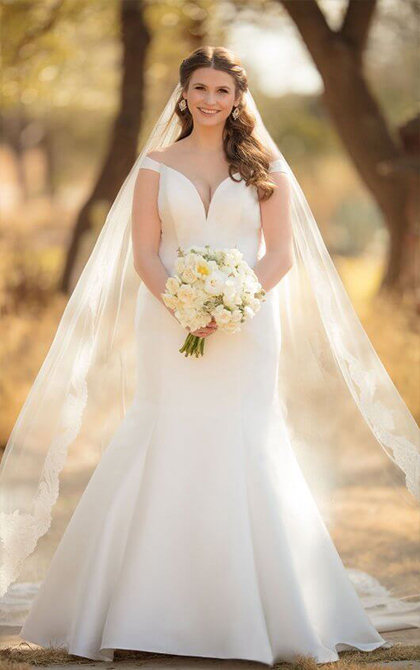 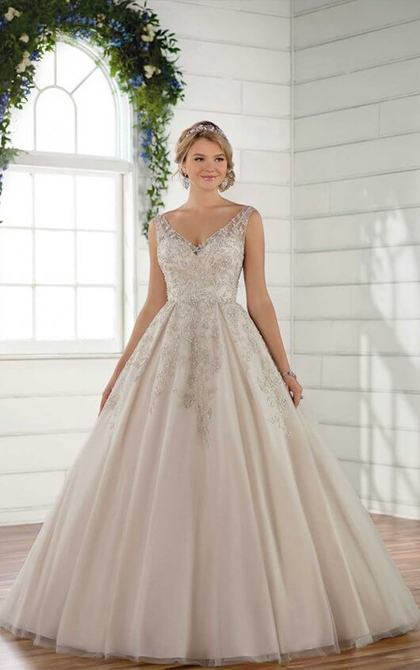 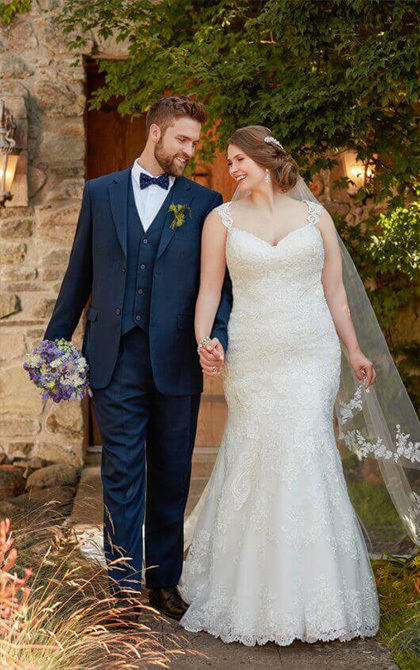 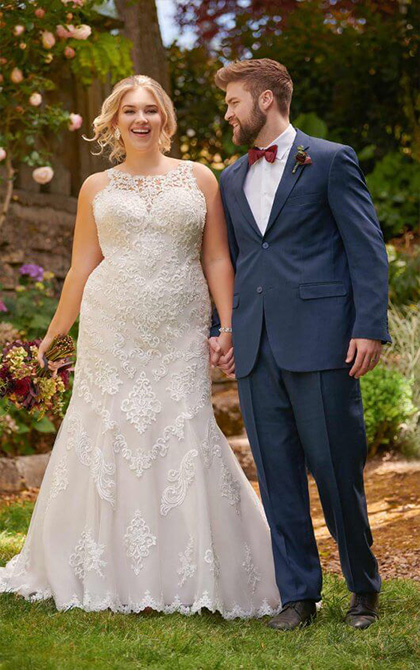 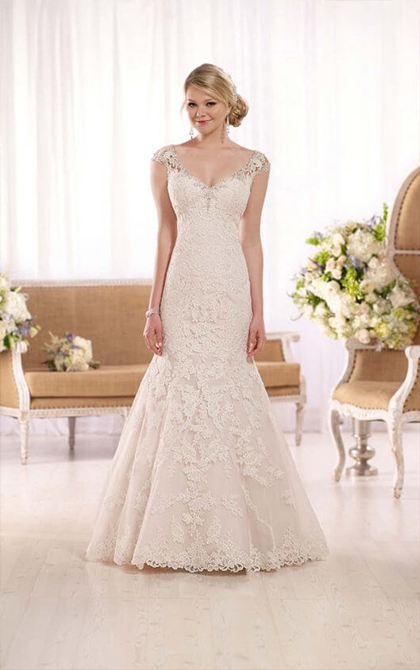 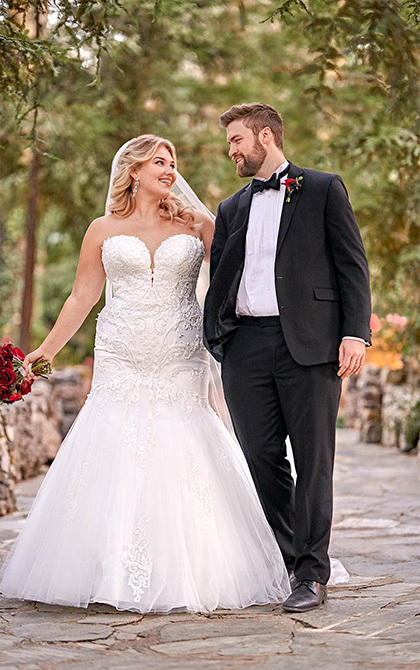 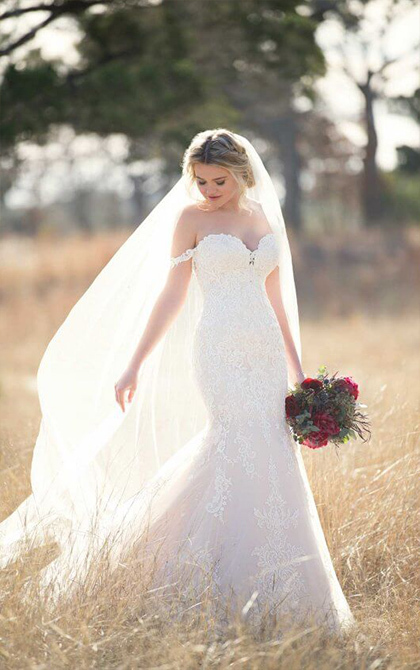 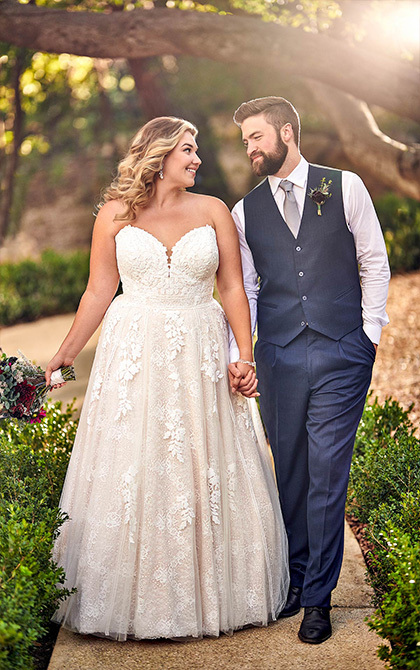 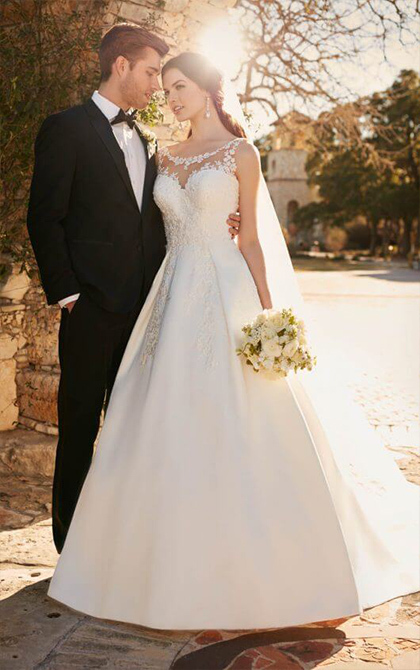 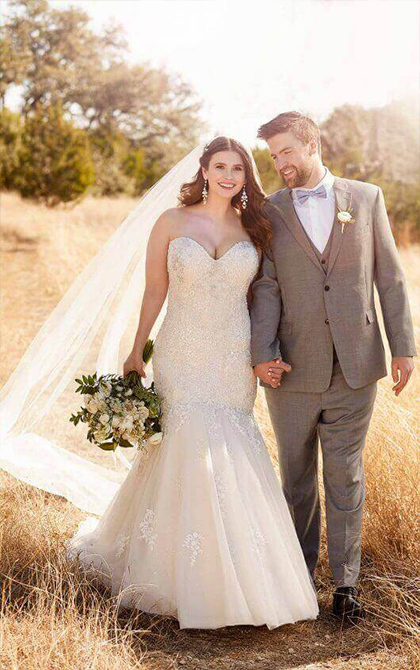 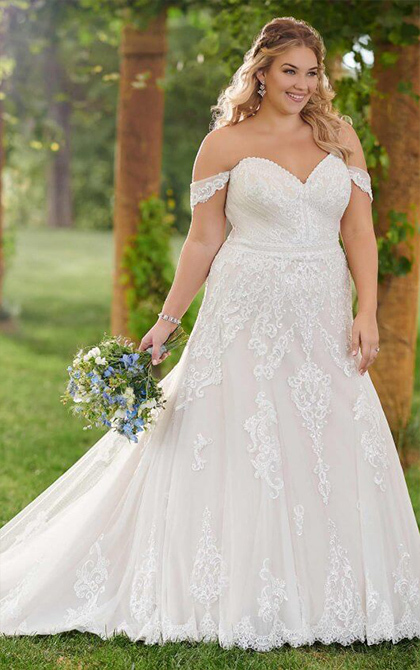 They are wedding dresses which don’t just fit for your body shape and size, but also to fit your unique style. 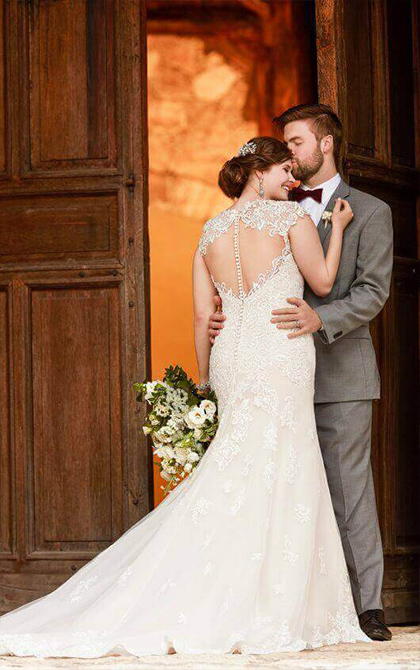 As with all of our appointments, one of our trained and experienced stylists will be on hand in your appointment to help you find your perfect gown in one of our stylish and private dressing areas, complete with a sitting area for your guests. 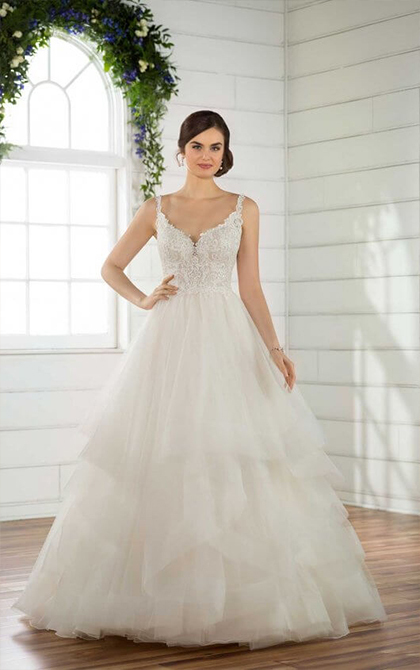 These dresses below are styles we don’t hold samples of in store currently, but if you’d like to try them on in your appointment, let us know! 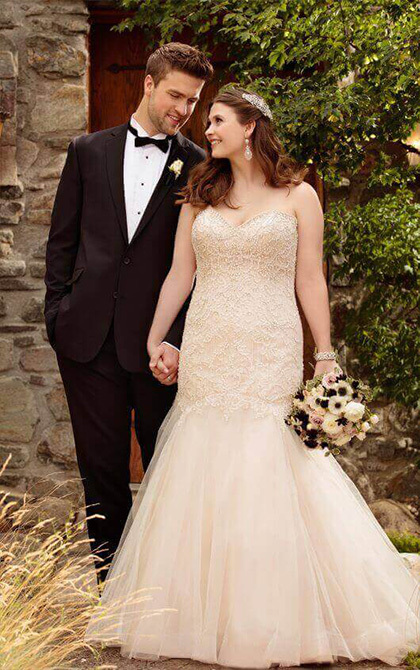 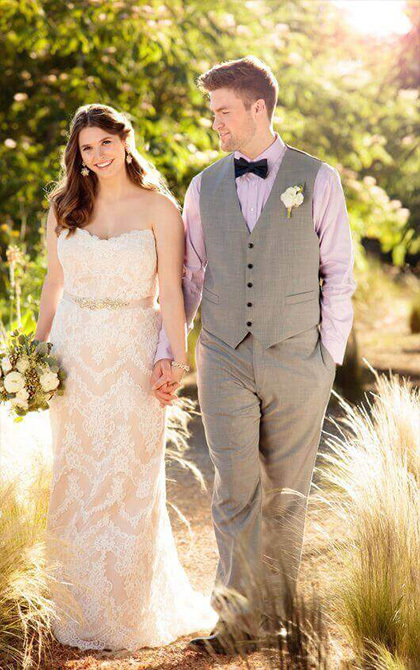 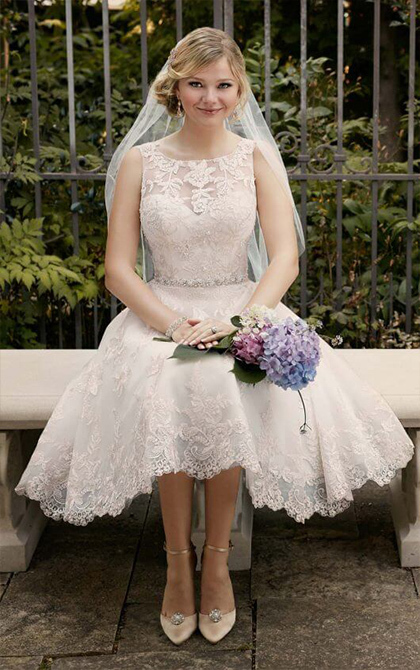 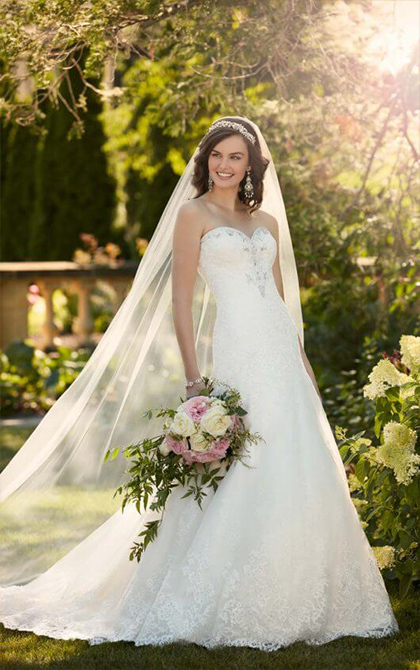 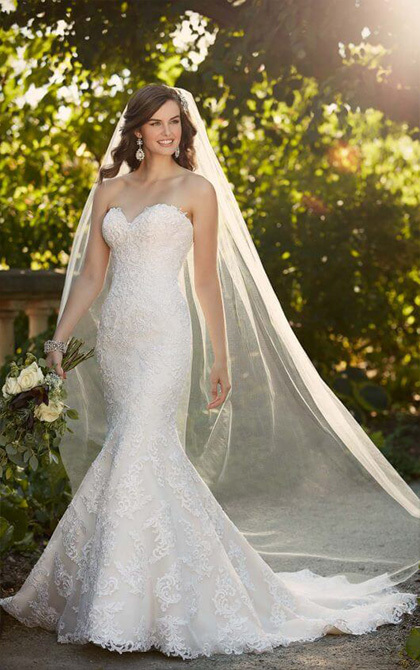 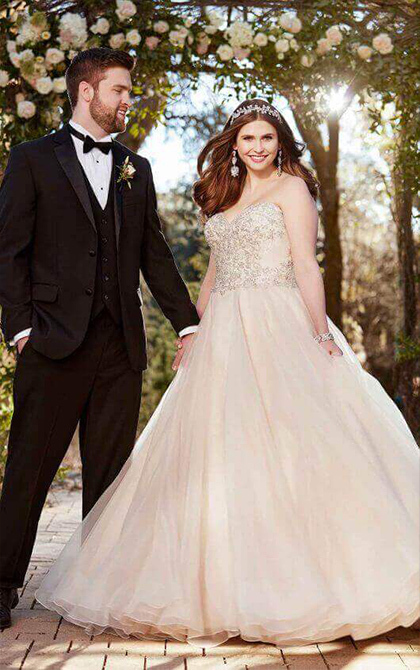 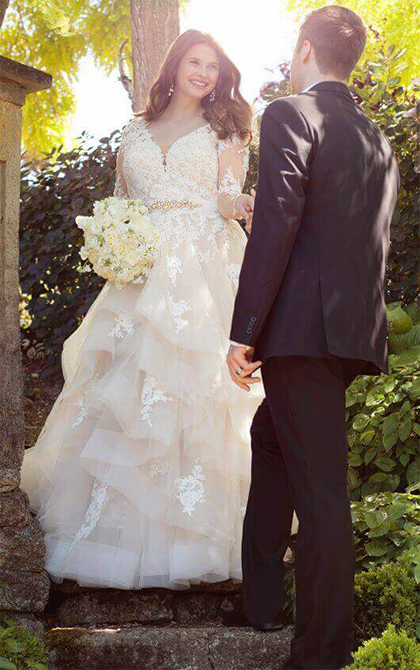 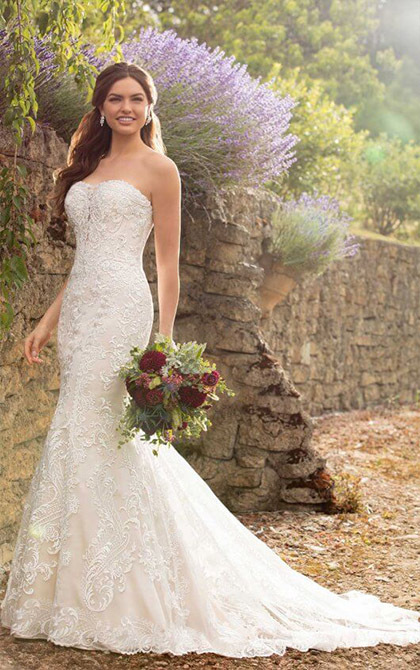 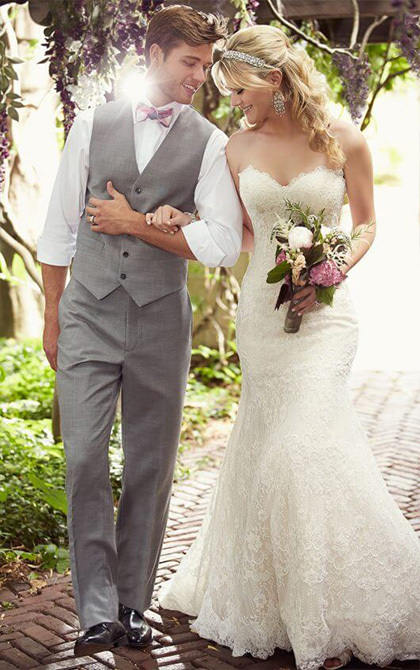 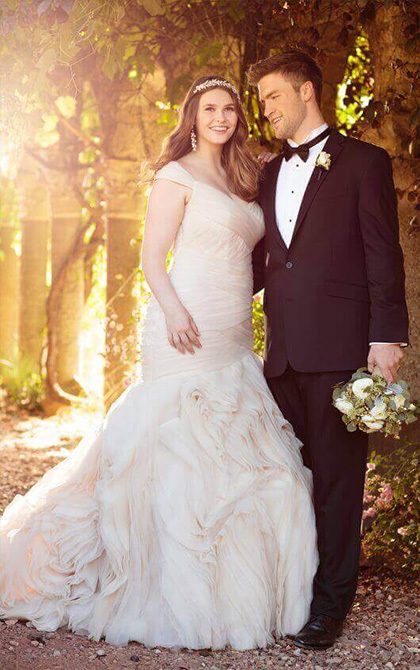 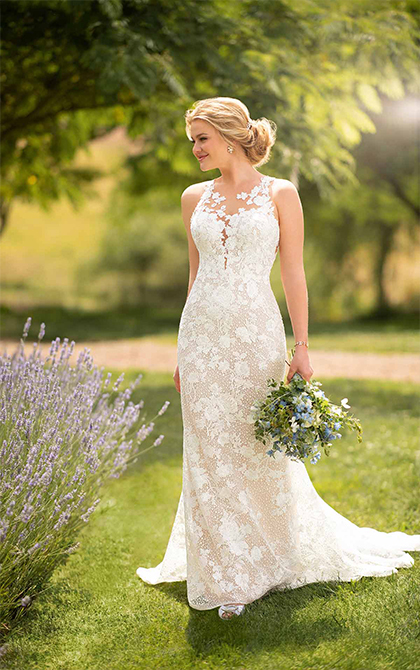 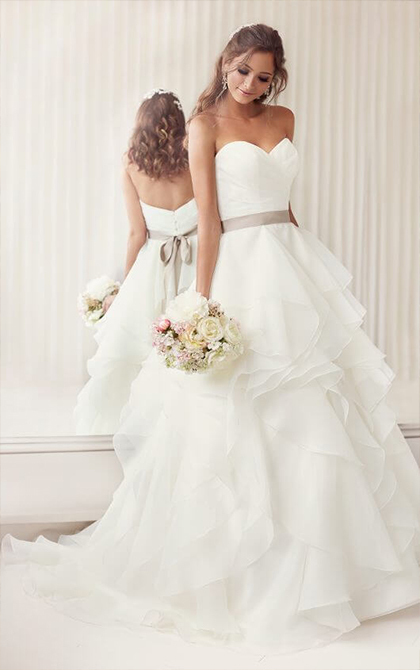 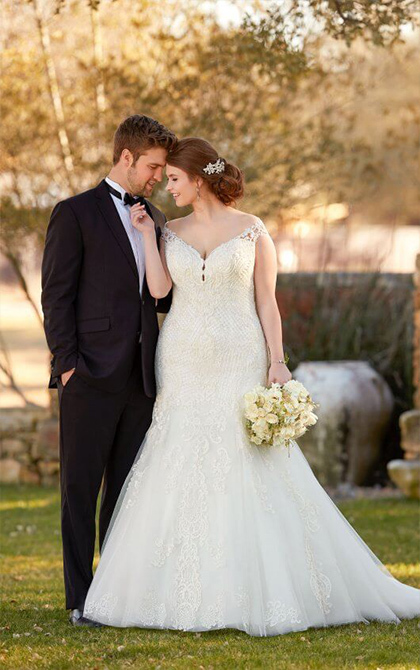 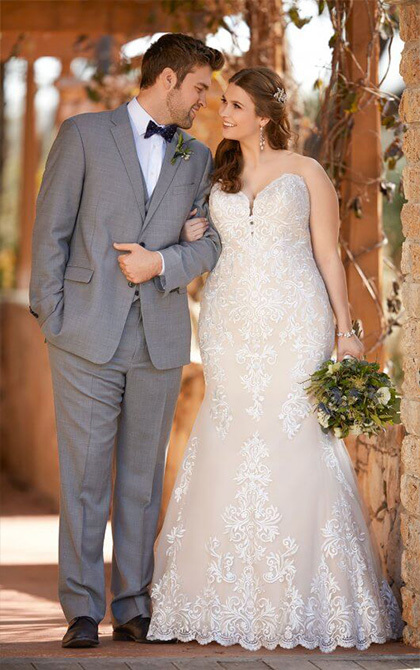 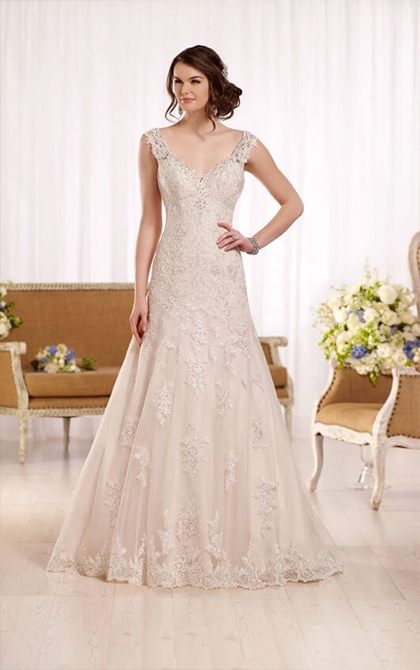 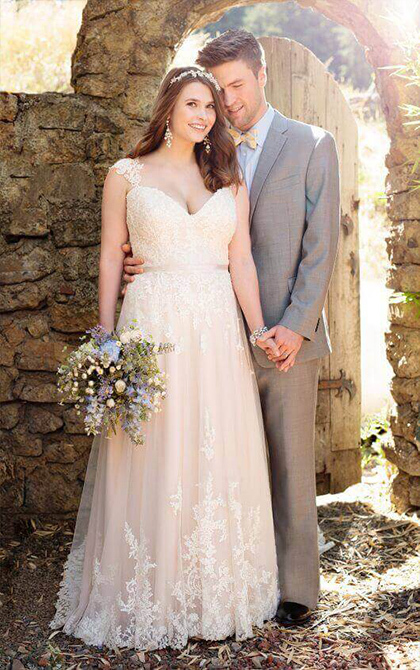 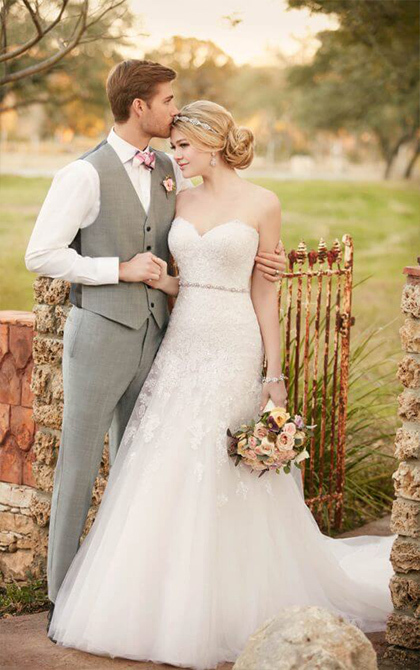 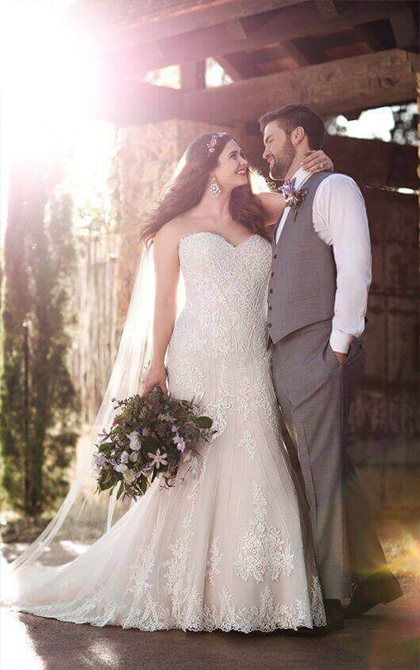 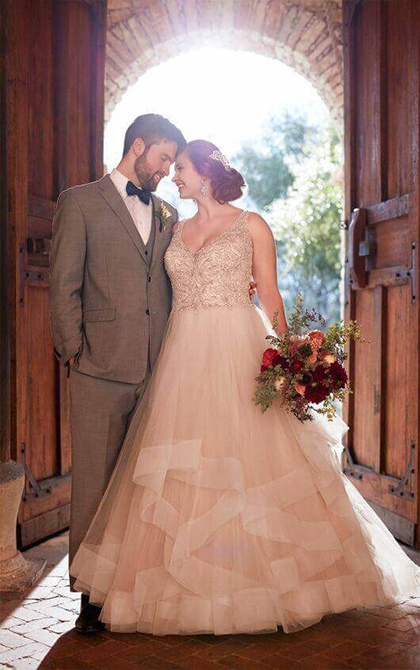 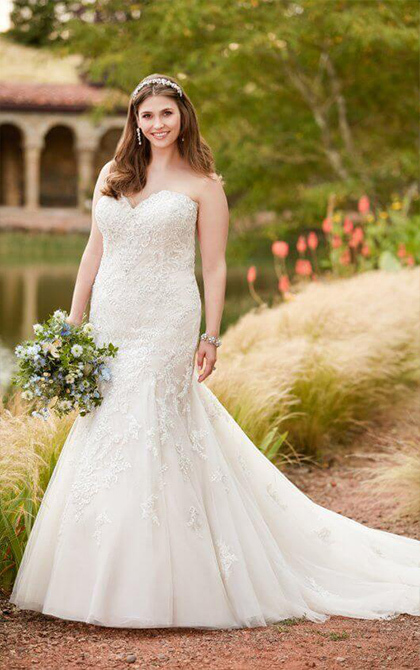 We can loan in dresses for you on Essense of Australia’s EveryBody/EveryBride loaner program for your appointment!